It took Barry Tobias seven years to build his first train. At nights and on weekends, the salesman, first of jewelry and later of children’s clothing, toiled in the metal shop in the garage of his Westbury home. 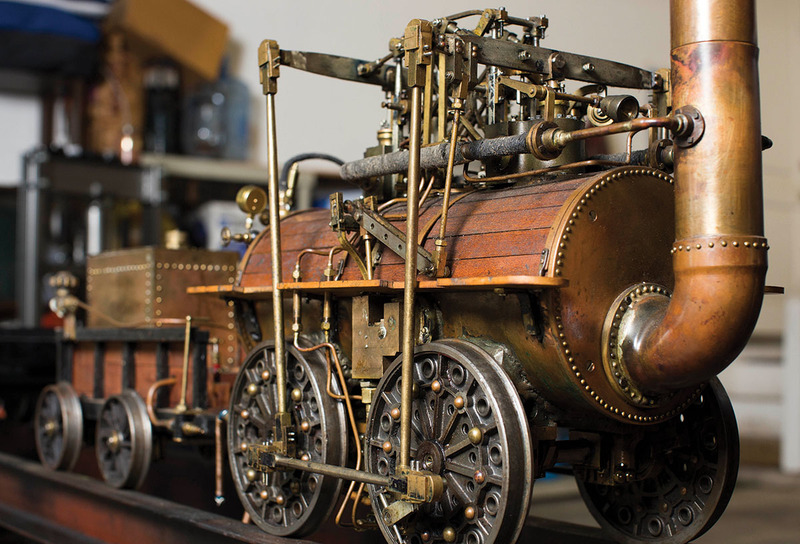 Following a blueprint pinned to the wall, he assembled a myriad of tiny brass and wood parts to create a 1-by-6-foot replica of an 1825 British steam locomotive big enough to ride. 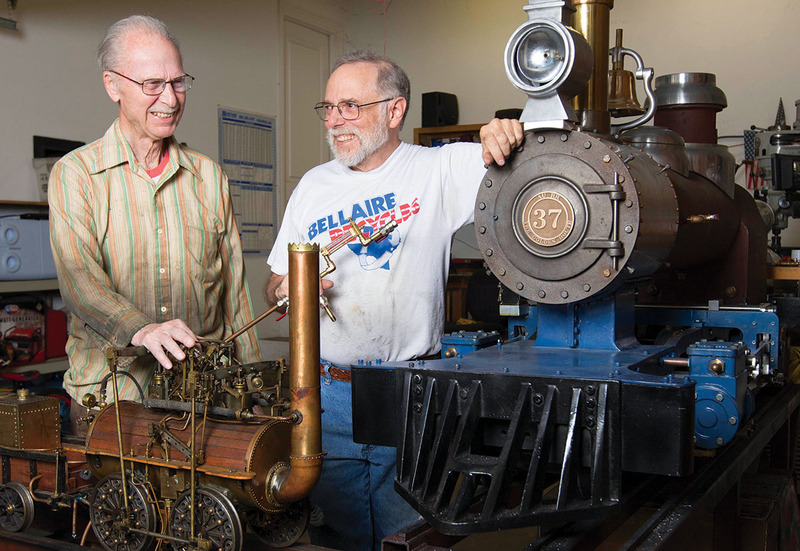 “It runs like a son of a gun,” said Tobias, 85, a charter member of the Houston Area Live Steamers (HALS), a club of mostly men in their 60s to 90s dedicated to live steam modeling. 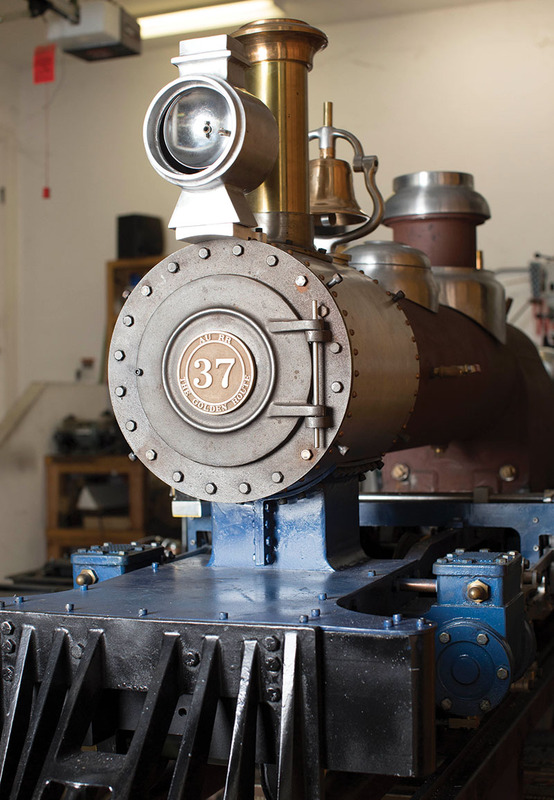 Founded in the 1990s, the club and its close to 100 members own more than 30 pint-sized locomotives and over 100 pieces of rolling stock train cars. 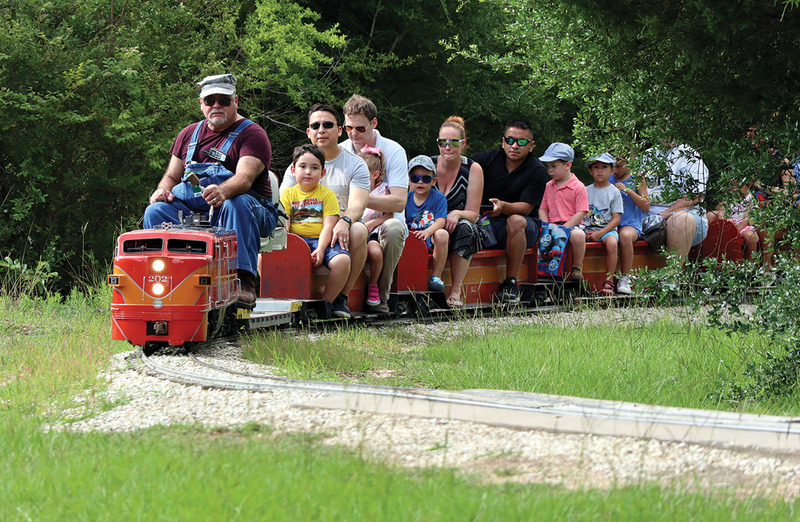 Members build locomotives in their workshops, then run them on an intricate track the club built on more than a dozen wooded acres on rented land in Zube Park outside Hockley, Texas. Once a month, the public can ride the trains for free. The club gives 1,400 rides per day, typically on five engines, which include around 21 passenger cars. All ages can partake in the 15-minute, 2.5-mile train ride, which zooms passengers across small bridges and past miniature station houses. Currently, most trains run on diesel or electric because firing up and later cleaning a train that runs on coal can be lengthy and cumbersome. It’s a process that includes adding water to the train’s boiler, starting a fire in the boiler’s fire box, and then scooping in the coal. Finally, when the pressure rises, the train will run. On a recent Saturday, Tobias, dressed in army fatigue pants, a straw hat and a longhorn belt buckle, leaned back in a golf cart parked in the shade of an oak tree, smoking a cigar. Across the tracks, smiling passengers slid into the station. Like other members, Tobias volunteers to run the trains. Since then, Tobias has avoided explosions and honed his skills, learning from others. He’s built four steam locomotives and one steam tractor, and he helped build the first inner track at Zube Park. Now, in his workshop, where nuts and bolts scatter across his workbench and plastic bins overflow with cylinders and pistons, Tobias works on his latest project: building a gasoline engine. “I need to keep busy,” he said. 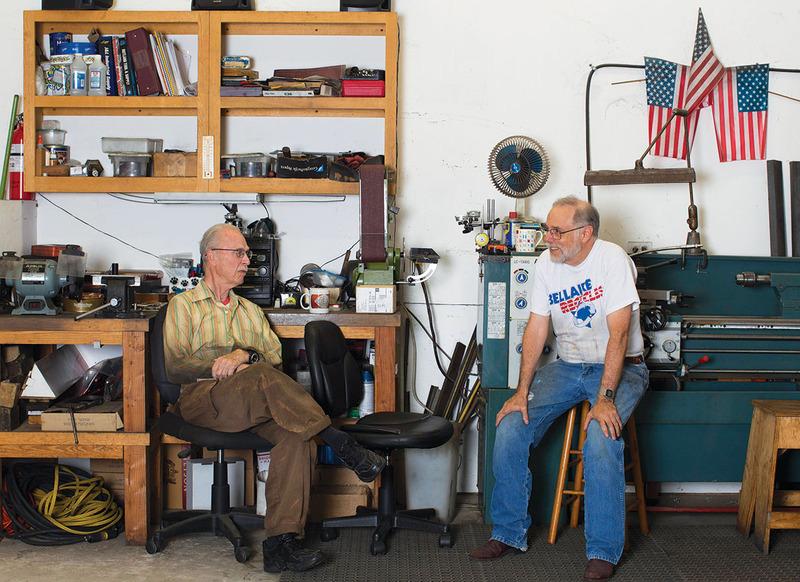 Over the years, he’s mentored other train enthusiasts, like Caleb Roberts, 71, who’s building a steam locomotive in Tobias’ workshop, and psychiatrist George Leventon, 67. Leventon, also a Brooklyn native, has loved trains since childhood. In his home office, he’s surrounded by binders of blueprints and framed pictures of locomotives. He and his wife, Marjorie, took their three boys on train trips across the U.S. and Canada; recently George and Marjorie took a train trip through Russia. 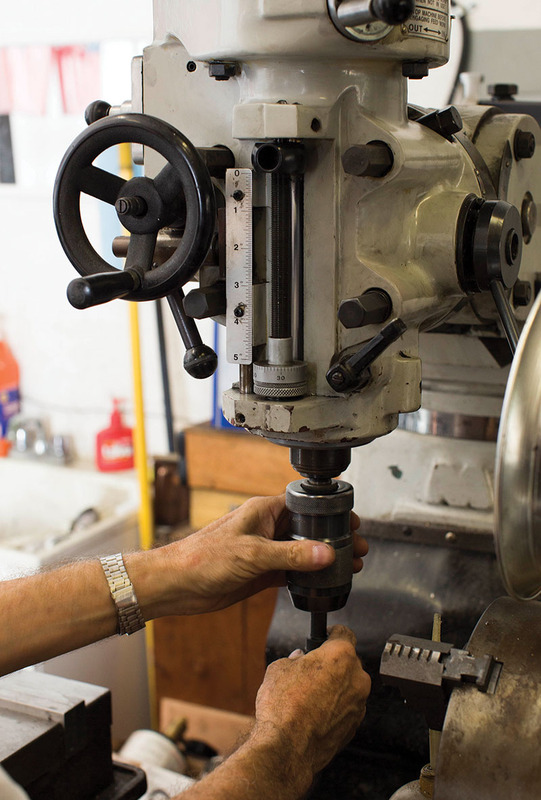 In his Bellaire garage workshop, Leventon uses a mill, lathe, grinder and welding machine to make his trains. He’s run his diesel train “AURR, the Golden Route” at the track, and is currently at work on a new steam locomotive. AURR, the Golden Route pays homage to his university, Alfred University; its initials, AU, spell out the periodic table abbreviation for gold. He makes each part by hand and designed his own logo. Leventon’s middle son, Nathan, helped lay track at Zube; some of the track’s brickwork was made with extra bricks from Leventon’s home after a remodel. 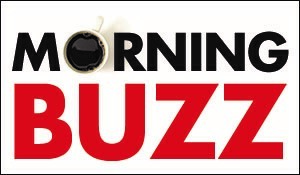 Trains run the third Saturday of each month, March through November, 9 a.m. to 1 or 2 p.m. Rides are free, but the public can support HALS with a donation or by buying a T-shirt or a hat. Tobias plans to keep HALS growing by recruiting younger members. “I need a strong, enthusiastic kid who wants to learn and has a pickup truck,” he said.